From visionary filmmakers Tim Burton and Timur Bekmambetov (Director of Wanted) comes this edgy thriller about the untold story that shaped our nation. 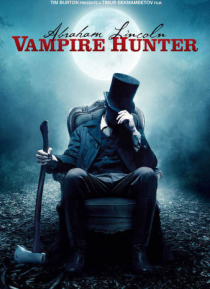 Abraham Lincoln, history's greatest hunter of the undead, must risk the presidency, his family and his life to protect America from bloodthirsty vampires. Thrust into an epic fight against ruthless killers, Lincoln must rely on those around him. Bu… t it's unclear who he can trust in this intense and violent thriller.